With St. Patrick's Day coming up later this week, I decided to learn something about shamrocks. According to Dr. Charles Nelson, a botanist and native of Northern Ireland, "Shamrock is the English form of the Irish word seamrog, which literally translated means 'little clover' or 'young clover'." Trifolium dubium is the most common of four types of clover that are referred to as Irish shamrocks. They are in the pea family. 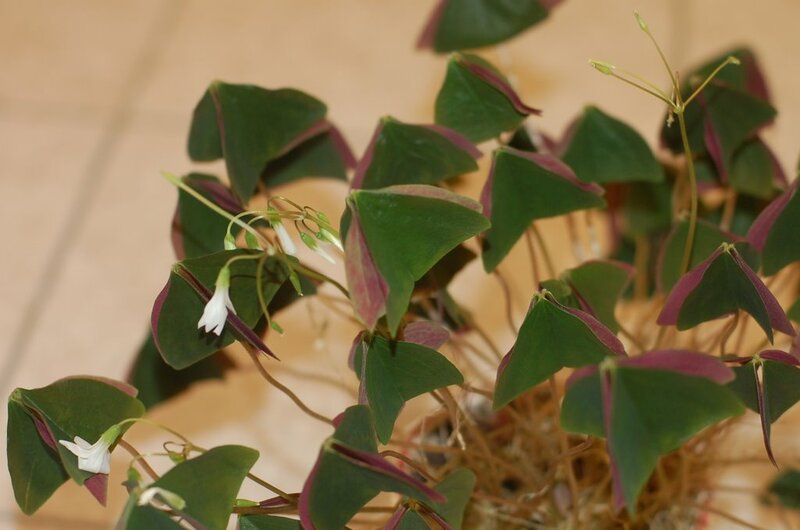 The Cobb County Extension Service notes that Trifolium dubium is extremely difficult to grow indoors. The Oxalis plant, like mine in the photo above, is usually what garden centers and grocery stores sell as "shamrocks" instead. 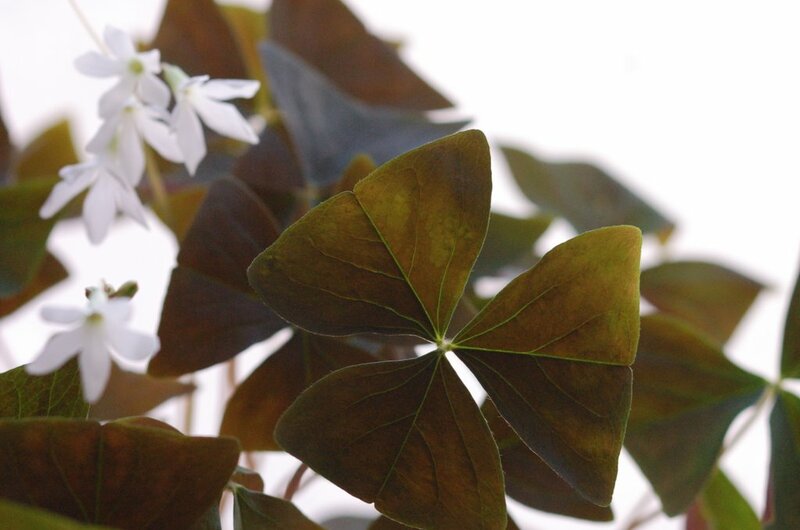 Oxalis is one of my favorite house plants. It's easy to care for and likes indirect light (which is the only option I have in the apartment). What I really like about oxalis is the way it closes down its leaves at night, as if it's saying, "I'm done for the day." Indiana University, on its Plants in Motion website, has a video that shows how the leaves fold down. It is fun to explore some of the other videos as well. Play the one called morning glory twining. It's kind of creepy the way the vine swings around until it can grab onto something to strangle! I didn't know they moved around like that. Interesting.